I originally created this index as part of a post celebrating the fifth anniversary of albertnet. You can read that post farther down the page, after the index. 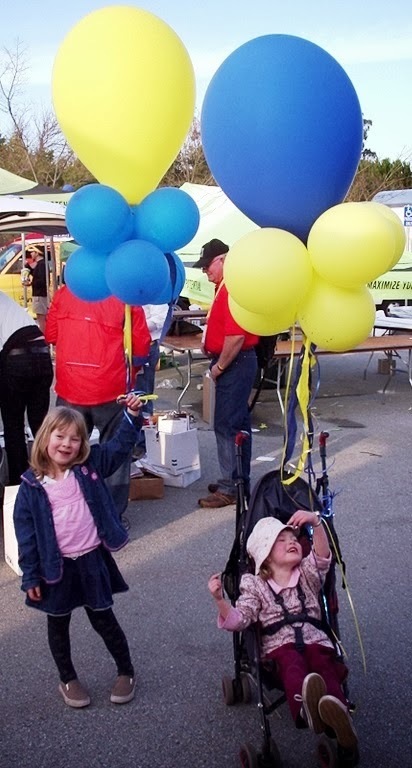 It presents a discussion of site navigation, categorization schemes, pageview rankings, and a photo of my little kids holding celebratory balloons. Here’s how this index is set up: I have posts listed in chronological order within various categories I decided were useful. The category list appears first, so if you see a category that interests you, you can hit Ctrl-F and search on it. Within these lists of posts, each item is (of course) a link to the post itself. Within each category, the posts are listed in chronological order (newest at the top), except the most popular, which are listed in order of popularity (most popular at the top). Velominati’s “The Rules” - Brilliance or BS? Spelling Focus - Is It “Kindergartner” or “Kindergartener”? Is It Harder to Get Into a Top College Now? Should You Tip Uber Drivers? “Glycogen Window” for Sports Recovery - Proven! The Importance of Goals - Debunked! Fiction - Game-Changing Dating Website! Chocolate Chip Cookie Dough Beer! TV Ears Saved Our Marriage! Holiday Newsletter About HEAD LICE! GROSS! Ride Report - Mount Evans with Teenager - 14,270’ Summit! Busted By a Cop on Highway 24! From the Archives - Robin Killed Off! Biased Commentary - Could Chris Froome Be Innocent? Is This Pinarello Nytro Ad Sexist? Is the Red Hook Criterium Series Good For Cycling? “Kit” Revisited - Not OK with “Kit” Commentary! OK Calling Bike Clothes “Kit”? What’s So Great About Sports? What if Allegiant Air Pushed Thing Further? From the Archives - Brutal Bicycle Training Contest! Tour de France TTT Preview - Can Tejay Take Yellow? Blogger Eats Crow Over Compact Crank! From the Archives - My Day in Court! What You Didn't Know About Giraffes! A New Jacket for Fall! Nash Bridges Towed My Car! As I continue adding posts to this blog, I’ll list them here, in whatever category list(s) they seem to fit, to keep this index current. If you think I’ve mis-categorized or forgotten anything, e-mail me and let me know … after all, I’m all too human, and putting together this index was more work than I’d expected. Also, the title of this post is a bit of a misnomer as it will often be incomplete. It’s hard to keep up! Well, a milestone came and went recently that I forgot to notice: the fifth anniversary of albertnet! I probably should have celebrated by putting up crepe paper and balloons and giving my readers free food, or at least a big discount. But this is only a blog and it’s free, so (as I often tell my kids) you’ll get nothing, and like it. You can always go to the albertnet home page, but of course most of my posts (~98%) are obscured by a tidy little file tree structure that you can’t be bothered with. How can I expect people to browse this blog when there’s lower lying fruit, like channel surfing, all around us? All you have to do is click on one of the labels, and Blogger will automatically search for other albertnet posts on that topic. The only problem is, it doesn’t give you a list of posts. It just barfs the posts themselves up on the screen, one after another, with the newest post at the top. This isn’t nearly as useful as a Google-style search results screen would be. (It’s kind of amazing Google hasn’t imposed its search-result uniformity on its Blogger sites.) Also, the results list only shows a few posts; to see the rest, you have to go all the way to the end and click “Older Posts.” A piece of advice: don’t waste your time with these labels. The only problem is, this doesn’t work very well either. You still don’t get a nice list of posts that you could choose from as from a menu. It’s more like a prix-fixe meal: one post spooling after another, as before. It’s basically useless. So how does anybody find anything on my blog? Well, usually they don’t. Sometimes somebody Googles “albertnet” plus something else; for example, I see a recent search on “albertnet race rwport.” [Sic.] But I think mostly I have first-time readers stumbling on my blog with random Google searches. So, my big celebration of five years of albertnet is to give you loyal albertnet readers a way to easily find past posts. But first I had to figure out how to categorize them—no easy feat given the almost random nature of my blog topics. The easiest category to come up with was the most popular, based on pageviews. Of course I have to take the pageview count with a grain of salt; probably a lot of pageviews are fraudsters poking around the Internet for whatever vulnerability they can find. There’s also no way to know whether somebody reads a post once he’s gotten to it. But I do believe that the posts with the most pageviews are the ones readers share with others. (I can see a post “tip” from time to time.) So I’ll include a list of the top ten posts as of today. Some posts simply defy categorization, like The Lotion Sniper, Mud Bath, and Bride Of “Pink Floyd The Wall.” Watch this space, because I’m planning to add a “Bits and Bobs” section to catch these oddball posts. Many posts fit within more than one category. Some topics, like cycling, are too general to comprise a single category. But I’ve managed to cobble together categories that I think will be useful and representative.